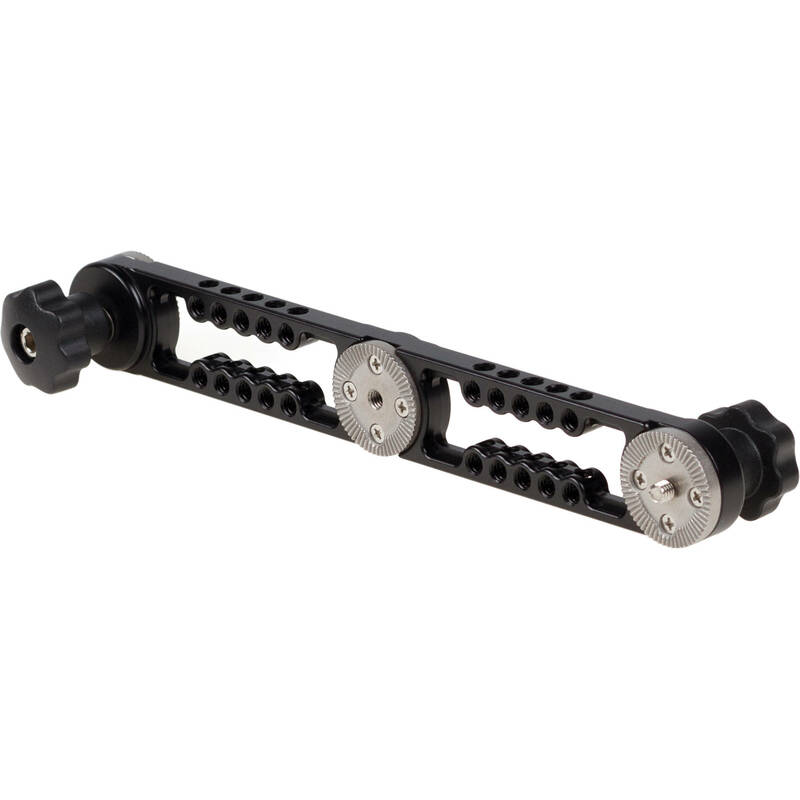 The Rosette Extension Arm from Movcam is a basic 10" extension arm for most rosette-equipped shoulder rigs and cages. The arm may be used to re-position grips or handles, add additional accessories to an existing rig, or construct a custom rig. Additionally, the arm features 4 rows of 1/4"-20 threaded holes to support video related accessories. Box Dimensions (LxWxH) 10.4 x 2.2 x 0.7"